My weather vanes this week are a bit of a departure from the normal. 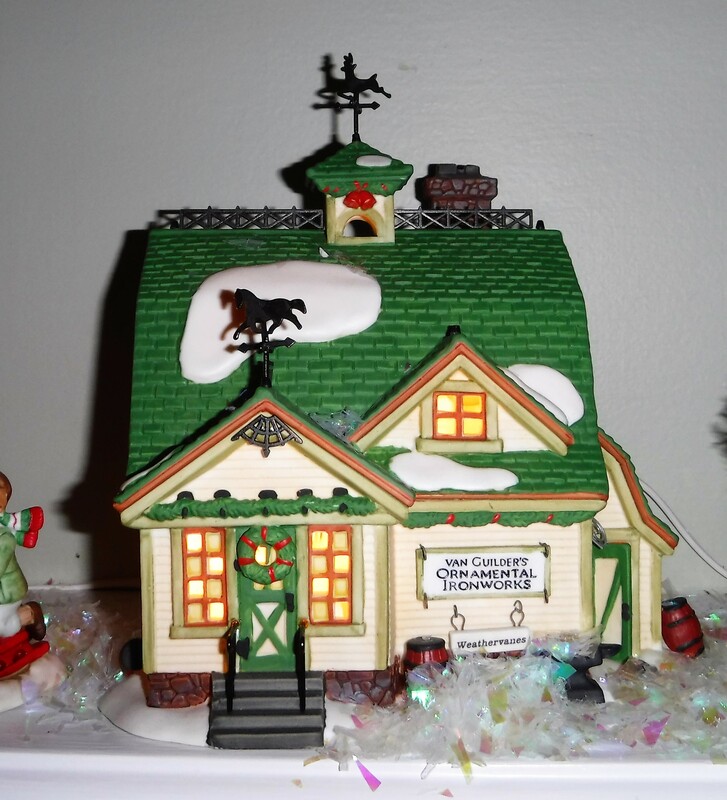 They are miniature and on my mantel atop one of the houses in my Christmas Village. The village houses, shops, church and lighthouse were first displayed at my parent’s home. When they moved a few year’s ago they didn’t have enough room for all the Christmas decor and I was the lucky recipient of the village. I love this photograph. It clearly shows the two weather vanes on the ironworks shop. This Christmas village brings me much joy every holiday. Thanks Mom! 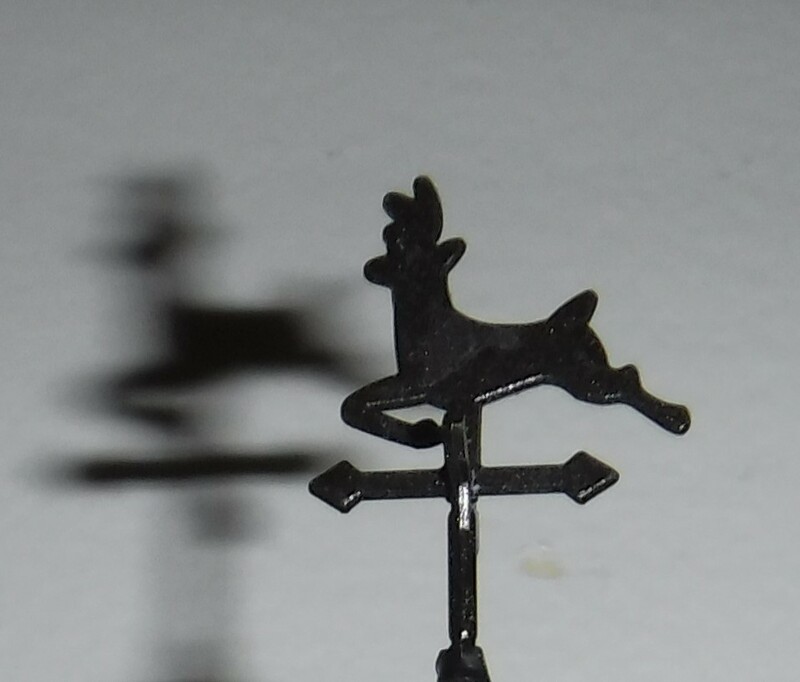 Weather vanes are very cool–and your Village is awesome! I love your village, and those weathervanes are so cute! Thanks so much…I was happy to have them to use. Things are getting busy and I didn’t have time to go out on a search for vanes this week. what a WONDERFUL KEEPSAKE to keep in the family, are beautiful on your mantel great to pass on to one of your boys. Yes, I hope to do that. Thanks! Really love your Christmas village!